The DISH Duo Receiver allows viewers to watch standard-definition programming on two different TVs in 480i display resolution. This receiver comes with two remotes, one for each TV that this technology supports. Other features include: an on-screen electronic program guide, parental controls, favorites and theme lists, browse capability, closed-caption, one-touch channel return, and more. The DISH Solo 311 Receiver is crafted for one standard-definition television at 480i display resolution. It comes with one user-friendly remote control and on-screen Caller ID capabilities. DuoDVR® ViP 722k provides customers with the capability to record hours of their favorite programming on two separate TVs. Save 405 hours of standard-definition and high-definition (HD) programming. The external hard drive feature extends storage capability so that you never miss an episode of your favorite TV show. Not only can you record HD programming on the DuoDVR® ViP 722k DISH Receiver, but also over-the-air and digital broadcasts. DuoDVR® ViP 722k is compatible with Dolby® Digital 5.1 Surround Sound, on-screen Caller ID, and offers an easy-to-use electronic program guide. 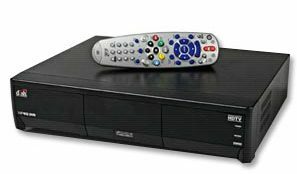 DISH DuoDVR® 625 Receiver offers customers multiple room viewing capability with DVR service so that you can pause, stop, and fast forward your favorite live TV programs. This 2+ TV receiver provides HD and SD in multiple rooms and also Picture-In-Picture (PIP) technology. 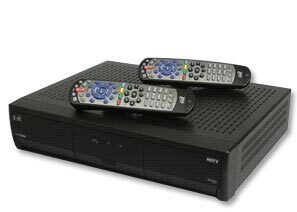 DISH SoloDVR ViP 612 Receiver allows customers the ability to view and record in HD or SD, at the same time and on one TV. Enjoy 230 hours of HD and SD storage space plus extended capacity with the external hard drive feature. 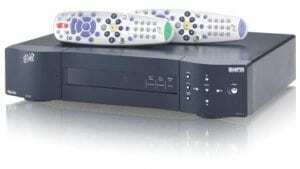 The DISH DuoDVR®ViP 722k DVR is a receiver that offers both high-definition and high capacity. Enjoy 405 hours of HD and SD storage capacity as you watch your favorite shows while recording them on two separate televisions. The DISH DuoDVR®ViP 722k features extra storage with an external hard drive, has an easy-to-use widescreen electronic program guide, and is compatible with Dolby® Digital 5.1 Surround Sound and on-screen Caller ID. DISH ViP 222k HD receiver features a two-TV set up, one HD and one SD with its dual, built-in tuners and viewing options. Enjoy the best picture quality, Picture-In-Picture (PIP) technology, a widescreen easy-to-use electronic program guide, and on-screen Caller ID. 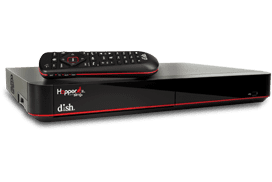 This advanced receiver also offers interactive features through DISH HOME such as six screen viewing simultaneously, games, shopping, news, sports, entertainment, weather, and more. Enjoy the very best picture quality on one TV with the DISH ViP 211k Receiver in HD. This advanced technology receiver offers over-the-air digital broadcasts and a electronic program guide. It is compatible with Dolby® Digital 5.1 Surround Sound and features DISH HOME, which is interactive-TV technology allowing multiple screen viewing simultaneously, entertainment, games, shopping, news, sports, weather, and more. At a low price, this single television HD receiver is a great bargain! The DISH SoloDVR ViP 612 features high quality picture, the ability to record with your DVR while you watch, and 230 hours of HD and SD recording storage capability. Enjoy the ability to pause and record your favorite TV shows with the DISH SoloDVR ViP 612 Receiver.